Living in small town? Thinking of quitting internet marketing because you live in a small cute town? Hold your thoughts aside for a second and read this article, I promise that you won’t get disappointed by the end. Internet marketing is one of the best rewarding careers these days, I know that you know it well and so chosen it as your career. Internet was an alien to people in small towns till smartphone prices came under common man’s budget. Thanks to the companies for bringing down the prices. This made a normal educated non-techie keep tack of what's happening in the world around through internet. Also the one who can send an SMS can also chat on WhatsApp and Facebook now. So this makes clear that the people of this decade are well aware of the internet and its importance. This changed the game of internet marketing and advertising with new set of opportunities that people aren’t seen by everyone yet. Internet marketing/advertising cannot be done sitting in a chair for hours in front of computers all times, it needs some real world strategies too. Before you go into the real ‘real world’, gather your assets to showcase to your advertising clients. To be clear, assets are the web ad spaces that you own and rent. Find influential bloggers in your small town and rent their ad spaces. Now make a list of available ad spaces to showcase them to your advertisers. Renting is not always means trading only money for ad spaces. You can trade much more than that. Also maintain you own websites. The more influential they are on the web, the more value they would get. It is good that you have valuable assets now, but who cares to make a deal with you if you look like a newbie in the field? Respond to the social causes and organize educating campaigns with those bloggers in the town (you rented ad spaces from) hosting the meetings. Ask them to share their knowledge and tell me to specify their blogs to follow them. Reach out to the educational institutions with the educating theme and expand your visibility to every nook of the town. Create websites for the causes you are fighting for and hire some well educated personalities as guest authors. Our calendars are full of special days. Use effective use of them by organizing educating campaigns and increase the list of your own assets just like Groupon does on Black Fridays and Cyber Mondays. After you gathered up the assets and making enough brand promotion, get into the real world and start exploring the opportunities. Reach out to the shopping malls, company showrooms, theatres, hospitals and set business deals with them. For example, if you are maintaining a website on health & wellness, you can get deals from hospitals and medical stores around the town. For another example, if you are maintaining a education website, you can make business deals with the local book stores, schools and colleges. Any deal should not end by once. To make both the advertiser and the buyer happy, you would have to spend your little profit. Let us suppose you are getting 10% per sale from the advertiser. A little from it say 2% as a gift voucher to the buyer from your website will not only rush traffic to your site but also increases the sales for advertiser. This will earn good reputation in your marketing/advertising services that would help to grow your business. One happy client is a mouth of 10 advertising campaigns. After all, client’s growth is our success. Isn’t it? Get feedback from the clients and feature them on your websites. It will impress your visitors upon quick visit to your site. Bloggers may not agree to feature some special contents on their website apart from the ad spaces you have rented. Pick out the blogs of particular niche from your assets that matches best for a particular deal and expand your deal value with your client(s) and blog owners. Share your profit with the bloggers earn their trust for future business deals. It doesn’t matter where you live, internet marketing/advertising gives the flexibility of running your business from anywhere in the world. In fact, small towns are very good choices for startups, as there would be very less competition compared to that of city’s. One cannot start climbing from the 10th step unless backed up or supported by most influential parties. It all starts with the first one for anyone like me and you. For any business, offline and online client’s trust is the most valuable income one/an organization gets. Try to earn it since your startup, It will take you to heights with 2x speed. By the way, do you still think of leaving internet marketing/advertising because you live in small town? Share you thoughts about it in comments below. Following the major hack of privacy, twitter announces a bug bounty program in order to check its unseen vulnerabilities regarding the security issues of its online presence. This bounty program pays the security researchers for reporting the threats and bugs on twitter through HackerOne. “Maintaining top-notch security online is a community effort, and we’re lucky to have a vibrant group of independent security researchers who volunteer their time to help us spot potential issues. To recognize their efforts and the important role they play in keeping Twitter safe for everyone we offer a bounty for reporting certain qualifying security vulnerabilities.” Says twitter through HackerOne. The reward announced is minimum of $140USD and will be given to the qualifying vulnerabilities reported by eligible hackers. However there is no maximum reward announced. The reward amount may vary depending upon the severity of the bug reported. As this is not like a competition, there is no limit to the number of rewards to be given. Each qualifying vulnerability will get rewarded and this process will continue till the program is active. Twitter only rewards security research and vulnerability reporting on the following applications. Vulnerabilities reported on other applications are not eligible for monetary reward as long as they are not added under the scope. However the bug reporters regarding the non-eligible applications would be featured in HackerOne’s Hall Of Fame. How to Report a Vulnerability? There is a only way to report a vulnerability to get the monetary reward, that is through HackerOne’s reporting tool which can found on HackerOne.com/twitter. You will have to create an account in HackerOne.com in order to report a vulnerability. It is not advised to report personal hacked issues like unintended tweets, abuse, harassment, spam or phishing. Twitter provide support information regarding those issues separately. All bugs are not considered under the twitter’s monetary reward category. The severity and impact of the vulnerability are measures followed in rewarding a bug report. However, as told before, all vulnerability reporters will be featured in Hall Of Fame. Unleash the hacker in you, earn a reward and the Hall Of Fame honor by Twitter. How to Promote Off Niche Products on Niche Blogs Naturally? One of the best earning practices an average blogger implements is affiliate marketing after Google AdSense. You can make the most of a affiliate program if you can promote the products/services effectively. Also, you can make the most of an affiliate program if right products were chosen. Right products, what I meant in last line are the products that give higher commissions per sale. You can’t just simply promote an off niche product on your niche blog. For example, you can’t directly promote a product related to apparel on your technology niche blog. What happens if promoted directly? – There would be no problem if you totally depend on affiliate marketing to earn from blog. The question comes to focus for sites which also use contextual advertising programs like Google AdSense. If off niche products are promoted directly through your blog, it disturbs the Google sensing capabilities for your ad units and results in showing low paying ads. So how to promote off niche products? – Where there is a will there a way(hoping that I said it right). You can apply a creative strategy which I have been practicing to promote off niche products on my blog. I call it ‘adapting friendly writing style of your own’. “Write for visitors not for search engines” says pro bloggers in their articles often. Adapting a friendly writing style that seems like as you are trying to make a conversation with your friend. It, not only looks natural but also earns loyal fans for your blog. In fact your writing style defines the quality of the blog. Insert hyperlinks of affiliate products on the text in your article. Because your writing style defines the adaptively of the links. For example, take a look at the following paragraph with adapted affiliate link on the text. So, what are you waiting for? read more articles from various blogs. Observe how well they are writing and what techniques they are using to attract visitors. Find a technique you can do well with, adapt it in your articles and promote high paying off niche products smartly. What do you think? Do you have a different strategy to promote off niche products on your niche blog? Share your thoughts in comments. We’ve seen so far the money making programs that have a limitation on the products or services the sellers are offering. These limited product inventory could only gain exposure of some class of people who actually know about it. Let us suppose if I am promoting a webhosting service through my blog and social media profiles, those who only have an idea and interest on webhosting would catch up my links and the rest would ignore. This means the chances of earning by marketing are also limited to the interest of the people. It would be easy to earn more revenue from affiliate marketing if the products we are promoting matches the taste and interest of different class of people. It no need to be a single product variant but I’m talking here about different products through a single affiliate marketing network. It should be! because I’m going to bring you a new affiliate program that works like Cuelinks, one we had discussed about before. There is an Indian affiliate network program called PayOOM, that has an association with various e-commerce and other e-buying platforms online. PayOOM provides various tools to promote the products of their advertisers in various ways and pays affiliate marketers through commissions. Signing up for the PayOOM affiliate program is as easy as sipping a morning coffee. Go to partners.payoom.com/signup and fill in the form given. After hitting the ‘Sign Up’ button, if all the fields are properly filled in, you will get a sign up success message on the screen asking you time for reviewing your registration. Meanwhile, you will get an registration confirmation email along with your login credentials. Save it aside for future reference of your login credentials. It would take up to 3 days for them to review your account. They took 3 days for activating my account. When your affiliate account is activated, the next thing you should do is to check out the account information and see if there are any emptiness in it. If any emptiness is found, fill it up, so that you won’t get any trouble while getting paid. Login to partners.payoom.com/publisher to access your dashboard. Explore the options under each tab once to keep them handy. You can see the contact details of your account manager under the options on the left pane. Your account manager can answer any kind of your queries. Feel free to contact him/her when needed. Go to ‘Offers’ and search for deals from different categories of products and services offered by various advertisers. The ‘offers’ categories include Baby Care, Dating, E-Commerce, Fashion, Travel, Real Estate, Downloads, Flowers and Gifts and lot more. That is why I said ‘everything else’ in the title of this article. You can also search products and services by countries and categories as well to promote. PayOOM provides wonderful advertising tools for its affiliates. They are classified as ‘Ad Groups’, ‘Pixels/Postbacks’ and ‘APIs’. Ad Groups – Allows you to create banner/textual ad units with custom chosen size and selected advertisers. Pixels/Postbacks – Allows you to manage third-party conversion tracking pixels and postback URLs. APIs – You should have special permissions to use APIs. You have to request for APIs by clicking on the ‘Request API’ from the APIs page. PayOOM is a very good affiliate program that allow us to earn commissions on even tiny products like baby diapers, food items, flowers and gifts. They may not earn you some handsome money for a couple of leads but can surely earn the attention of many onliners. Flowers? seriously? God! what am I going through to earn through online? Do you feel the same way? share your opinion in comments. Do you know that you can make money by offering eBook downloads to your visitors? Wait a second! don’t get me wrong. What I’m going to share with you in this article is purely legal and non-copyrighting infringement method. Tradepub allows online publishers earn by promoting their eBooks through their websites and blogs. You need to apply for tradepub partnership program, RevResponse to get started. What is TradePub and RevResponse? Tradepub is an online subscription service provider for B2B magazine publisher owned by NetLine Corporation, a B2B integrated company that provides lead generation and marketing services for advertisers, marketers and publishers. RevResponse is a traffic monetization program introduced by NetLine Corporation which lets publishers monetize their content by producing valuable resources to their visitors. You must own and operate the site with which you apply. Your site must be live, fully-functional, and regularly updated with fresh content. Your site content and audience must be relevant to the B2B offers TradePub provide. Your site cannot feature adult content. Go to http://www.revresponse.com/ and click on ‘sign up now’ button. Fill in the form with proper details and submit. You will get an email asking you to confirm your email ID. Click on the confirmation link provided to confirm it. After email ID is confirmed, you will get another email asking you to answer some questions along with the confirmation of your website or blog. They actually asked me four questions during sign up process which I am presenting before you. You may or may not be asked the same questions while you sign up. First question is to confirm that you own and operate the site with which you applied. Second question is that how you came to know about RevResponse monetization program. Third question they ask you is about your site audience and the plans you are going to implement in promoting their offers to your audience. Fourth question is about any other affiliate or advertising networks you are currently working with. Write a reply with good answers to all the questions and wait for their approval. Do not remove the tradepub link until you get a confirmation email at least. It took me a week to get approved. It might even take long time. So, have patience. You should set your payment method in order to get paid once your account is approved. You will get paid either through PayPal or by Check only. There are no other payment options available for now. Login to your partner account in www.revresponse.com and click on ‘My Account’ on the left sidebar. Click on ‘Edit’ and scroll down to payment method. Choose a payment method and provide your details. Congratulations! you have now set up your payment method for RevResponse monetization program. You will be provided an URL with the username you have chosen while signing up. Let your visitors visit that URL to download eBooks. For example, ‘amfastech’ is my chosen username and amfastech.tradepub.com is the URL where I can offer downloads to my visitors. RevResponse provide you different promotion tools through which you can offer downloads flexibly. They include Offers Catalog, Ad Units, RSS to Email, Confirmation Page, Offer Lightbox, Slideout Box, Top Bar, Resource Library and Referral Badges. Yes! you can also earn from the leads generated by your referral’s links. You would get 20% of the earnings earned by your referral in first 6 months of their partnership. Your referral sign up link would be like this: http://www.revresponse.com/join.php/?refbrand=SITENAME. Replacing the word SITENAME with your RevResponse username will make it your referral link. Once your sign up is approved, RevResponse would automatically syndicate your blog posts though RSS feed and share them to a centralized blog with 20 million subscribers. You will be paid for every post emailed – You will receive ten dollars per blog post emailed. In addition, You will get monthly analytics report to help you gauge your expanded reach. Sign up today and start earning! All the best! Free classified sites are boon for the tiny advertisers. Websites like Olx and Quickr made posting classifieds easy. Though it is easy, people are creating some awful Ads which don’t even earn a glimpse of the visitor. If an Ad can’t get the visitor’s attention, how could you expect it help you promote the product or service you are offering? Join your leg with me to skate along the creative way of posting an Ad in a free classifieds site. Let’s begin. Note: I’m going to demonstrate this attractive ad posting with the help of Olx.in in this article. Yes real photographs! I mean it. When you are posting an Ad about your old mobile of course, take some beautiful photographs of it with your camera or other phone. Original photos would really help you get visitors attention on to your Ads. Images from web would make a bad impression about your product you are advertising though everything you said is true in that Ad. I’ll show you some examples of Ads in Olx with and without original photographs and the user interaction with them respectively. Take a look at the screenshots of two ads above. Though they look similar, the one with original photographs looks more appealing than the one with posted with Google images irrespective of their prices. Original photographs is not the ad alone. Make some short description of the product/service you are selling. You description should make the buyer get convinced for the price you are offering it for. If we take a look at the above ads as an example, the second ad description looks more convincing than the first one. Ad title is one of the most important buyer driving factors. Giving a single word title just like the above two ads would not help you get the attention it deserved. Use a title describing the condition and age of the handset in case you are selling your phone. Make sure it won’t exceed more than two lines. You may be in need of quick money, that doesn’t mean you don’t have 5 minutes time to post an ad with all the information needed. Getting greedy for 5 minutes would cost you days and even weeks sometimes. Posting the ad into right category would you help you get buyers quickly. Do you think posting an ad into ‘pets’ category help you get it sold faster? No! right? What’s the point of displaying cars in a showroom without a person to contact in there? The same way, there is no point of displaying your ad without working/valid contact details. A buyer would see your interest in selling the product or service. Posting an ad with internet images would leave a bad impression to the buyer as discussed earlier. Providing vague description also does the same nor the bad title. Eliminate the rush – Don’t make yourself look like you are in rush to sell the product. A buyer would be as smart as you, most particularly while buying second hand goods or goods from freelancers. Next time you post an ad, be smart and show interest. Amazon on Tuesday have introduced the #AmazonCart, ‘add it now and shop it later’ feature for its Indian associates. Amazon Cart allow shopping directly from twitter. When you tweet an Amazon.in product with your store ID, Twitter users who have connected their accounts to Amazon, can add the item directly to their Carts by replying to your tweet with '#AmazonCart'. If anyone purchases the item added using #AmazonCart hash tag would be attributed to your store ID and therefore eligible to earn commissions. How to avail this feature? You must connect your twitter account to Amazon to avail this feature. Once done, you can use #AmazonCart hash tag in the reply for the amazon product link to add the item into your cart. Once the item added can be shopped anytime later. How to connect my Twitter account to Amazon.in? Go to this link: http://www.amazon.in/gp/socialmedia/amazoncart and click on ‘Get Started’ button to authorize your twitter account with Amazon.in. When you see a link of Amazon.in’s product on twitter and you like it, simply reply to the tweet with #AmazonCart hash tag to add it to your amazon cart. Buy it later when you have time for shopping. Adding item to the cart doesn’t mean that you have made a purchase order. It simply means that you like that product and you are busy to make an order at that time, so added to cart to buy it later. Amazon Cart feature works only for public accounts and tweets. If your account is protected, only your followers will be able to see your tweets and replies. So #AmazonCart can’t see your replies and add the item to your cart. Your replies with has tag will be visible to the person to whom you replied and those who are viewing your conversation. You can always edit or review your cart anytime later. Once you added an item into your cart, you will get a reply from #MyAmazonIN notifying the status of the product( if it is available or out of stock or information regarding the checking out later). Flipkart today announced the reduction of minimum threshold for Electronic Fund Transfer(EFT) payments for its affiliate partners. Here by the minimum threshold of payments through EFT is reduced from Rs.2,500 to Rs.1,000. This option will not take effect on your earnings of this month and will be from August. From August, all your earnings will be directly deposited into your bank account. Affiliate partners who already set their payment option to EFT need not to change anything but to know about the minimized payment threshold. If the partners who have set their payment option to ‘gift voucher’ wanted to avail the benefit must change the payment option to EFT. When changing to EFT, you must take care giving details like correct PAN number, valid IFSC code along with your bank account number in order to receive payments without any problem. If you want to get paid in August through EFT, you must change your payment option before 31st of July. We are glad to announce that we have reduced the Minimum Threshold Limit for EFT (Electronic Funds Transfer) payments to Rs 1000 (from earlier Rs 2500). Please note that the first batch of EFT payments with this new minimum threshold limit will be effective mid-August 2014 when referral fees for June'14 approved orders will become due. All affiliate partners who have selected 'EFT' as payment mode need not do anything. If their earnings exceed Rs 1000 when affiliate payments become due in August'14 month, it'll be deposited directly into their bank accounts. In case you had selected 'Gift Voucher' as payment mode and now want to switch to 'EFT', please Login to your affiliate account before 31-July-2014 and on the My Account page (Affiliate Payment Information section), please select "EFT" from the Payment Mode drop-down menu and complete all the mandatory details including your bank details (EFT payments are subject to all the necessary documents like scanned copy of cancelled cheque, PAN card and/or any other requisite docs having been submitted by the affiliate to Flipkart for processing payments through EFT). NOTE-1) As per applicable Indian tax law, we deduct 10% TDS on all payments made through Electronic Fund Transfer (EFT). Our payments to you are referral fees in the form of commission and we consider the same squarely covered under Sec 194H of the Income Tax Act and deduct TDS at the rate of 10%. Flipkart seems like has got into competition with fellow ecommerce businesses. It is known that Amazon.in have recently introduced EFT payment option to its affiliate partners with the minimum payment threshold of Rs.1,000. Anyhow the competition benefited the affiliate marketers get paid quickly than before. So what are you waiting for? Go flood the web with affiliate links(terms & conditions apply ;)). The number of people that regularly use the internet is increasing daily throughout the world. However, as people embrace this digital age, they tend to be inclined to only one side of what it offers. The internet is a great hub for unlimited opportunities but most people are yet to realise that. For instance, did you know that you can earn a consistent and hearty income through internet marketing? Online or internet marketing involves advertising and marketing activities done via the web to promote direct sales through electronic business. Before learning how to make money online using internet marketing, it is important that you understand what the job requires. As the name suggests, you will need to have access to a stable internet connection and a network supporting device. You will also need a site where you will post links to your ads and then identify a particular or a variety of product niches. Well, starting off on internet marketing can be quite challenging. But with the right attitude, information and hard work, your efforts will eventually start to pay-out. A high-quality website will play a major role in your success as an online marketer. Ensure that you get a good web-designer and Search Engine Optimization (S.E.O) writer that will help improve your search engine rankings. Keep in mind that marketing is about reaching out to as many people as possible. Make use of social media sites and other online platforms that will draw a large number of prospective customers to your site. Also have your eye open for forums and discussion that relate to your merchandise. If possible join in the discussions and give out any useful information that may place you at an advantage in the market. Persuasion is a great attribute of marketing. Engage visitors in your website by asking them to take action and giving them a platform to makes comments, inquiries and reviews. Also let your visitors know what you intend to do in regards to the product you are marketing. The present is more relevance and importance to us all. Ensure that you regularly update your website to prove your credibility to visitors. Out-dated events or information will only create a negative impression and lack of seriousness in your job. Consistently feeding your past visitors with reminders, updates and specials will also ensure that you never lose base with your customers. Always request for emails or any other contact information from visitors to allow you do this. As much as online marketing aims at reaching out to large market base do not make it too obvious as it may instead be a turn-off to potential clients. Consistently sending ads and emails to your clients feels like a nag and no one likes nagging. Create a friendly marketing strategy that will work both in favour of you and your web visitor. Your online marketing career should not only be aiming at making money, but it should also look forward to adding value to others. The eCommerce giant Amazon.in introduced EFT payment option for its associates on Monday. Associates can now get their payments directly deposited in to their bank accounts. The minimum payment threshold for Electronic Fund Transfer has been set to Rs.1000, less than that of payment by cheque option. The threshold for payment by cheque for Rs.2,500 is already known. 1. NEFT transfers are a quick and secure way of transferring money. 2. The minimum payment threshold is INR 1,000 for NEFT (vs. INR 2,500 for payment by cheque). 3. There are no fees. All you to need to do to start receiving payments via NEFT is update your bank details on the Change Payment Method page under the "Account Settings" link on Associates Central. Please note that the first batch of payments via NEFT will happen in the last week of August 2014 (for earnings up to June 2014). We encourage you to switch to NEFT payments for a quicker, more secure payment experience. As always, feel free to contact us if you have any questions or feedback. There are no payment processing fees charged for new EFT option. You can change you payment option either by clicking on the link given in the email or by going to ‘change payment option’ in your associates account. If you haven’t got any mail regarding the issue, wait for another 24 hours or check out the payment option in your amazon associates account once. Amazon.in have recently introduced EFT payment option for its associates in India on Monday. The associates who are getting paid by cheques can now get their earnings paid directly into their bank accounts. The benefit of being paid by electronic fund transfer is that you can get your earnings with in short time and no payment processing fees are charged for it. If you want to change your current payment option, log in to your amazon.in associates account and click on ‘Account settings’ on the top right pane of the webpage. It will direct you to a page with associate account control panel. Click on ‘Change payment Method’ under ‘Payment Information’. The tax information and organization type need not not be changed. So leave them as they are. Under ‘Your Payment Method’, Select ‘Pay me by EFT’ option by opting out the previous ‘Pay me by cheque’ option. Enter your bank account details correctly. If you need any help regarding finding IFSC code of your bank, please refer ‘Incorrect bank account number or bank codes’ section in an article about AdSense Wire Transfer Payments. Click on ‘Submit’ when done entering bank details. If you entered all desired details in the EFT payment form, it will show you a success message like as shown in the following screenshot. Congratulations! you are now set your Amazon associates account payment option to EFT. How To Make Money from Flipkart? Flipkart is one of the most famous e-commerce Indian companies founded in the recent past. This online mega store sells different kinds of products online taking from baby products to adult apparel and electronic accessories to heavy laptops. The availability of different sort of goods at one place and the Flipkart’s loyalty at their customers earned them a good reputation. Update 2016: Flipkart have changed the user interface of the affiliate dashboard. The following screenshots may not be the same but the options are remained with the same functionality. How to earn with Flipkart? Flipkart introduced a great way to earn commissions by referring products to our friends, family and unknown, called Flipkart Affiliates. Flipkart affiliates program allows us to earn commissions by placing banners and links of products on our websites to refer users. We can make commissions from 4% and up to 15% of the product’s price. The commission rates changes from product to product, season to season and time to time. How to signup to Flipkart Affiliates? You can directly go to https://affiliate.flipkart.com website and click on ‘Join’ to start the sign up process. You’ll have to fill up the form with your genuine address details as the payments will be made according to it. If you miss filling any optional detail in the form, do not neglect it. Sign in into your affiliate account and click on ‘My Account’ to add/edit the information you have provided. Generally, the account information is classified into 3 categories. You can change your ‘Individual’ affiliate account to ‘Organization’ type. 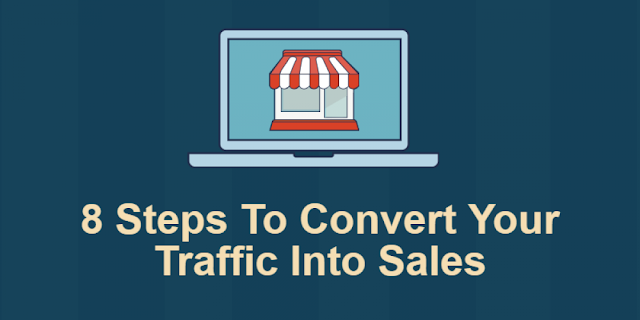 You can add more than one website for your once-approved affiliate account. Each website should have an unique URL. Make sure you have entered correct information in the payment section. You can swap between the two available payment methods, EFT(Electronic Fund Transfer) or Gift Voucher. You will have to enter the bank account details along with the PAN card number if EFT mode is opted. Save changes when you are done adding or editing the affiliate account details. Starting up with Flipkart affiliates is easy. The amount of earnings you are going to earn depends on how creative you are going to work with it. To start making money sign in into your affiliate account > Product Links and Banners > Search for trending products. For e.g., Let’s say Moto G is the trending product now from ‘Mobiles & Accessories’ category. So, I’ll search for Moto G from ‘Mobiles’ category in the ‘Product Links and Banners’ search bar. Click on either of the available options and choose ‘Get Banner’ or ‘Get Link’ to showcase the product on your website. You can also choose button form of the link to make it look professional. You can also place the default static banners that are available in two different sizes, 300x250 and 728x90. Flipkart updates these static banners and replaces the old ones with new according to the market trends. Flipkart offers flexible features for its affiliates. You can also choose to place the static banners showcasing current offers in Flipkart. Flipkart affiliate program provides 3 kinds of widgets that show best sellers and featured deals. These widgets can be added into your website with no hard effort and make your visitors choose the product right there. Apart from these two widgets, Flipkart allows you to choose multiple products of your choice to be show. To create one, go to ‘Multi Product Banners’ and choose a size, get code and paste in in your website where you wanted it to be displayed. Flipkart pays their affiliates when the balance in their accounts reach the threshold Rs. 250 for Gift Voucher and Rs.2,500 Rs.1,000 for EFT. Read more FAQ about flipkart’s affiliate program. So what are you waiting for? Go create an affiliate account and start making money with your website. Cuelinks is an affiliate link management service that was recently started up in India. This Mumbai based company focuses on Indian publishers who are making their earnings with affiliate marketing so far and new. Affiliate marketing is on rise compared to the past couple of years and it is already getting priority along with the famous CPC programs like Google AdSense. Cuelinks was introduced on a motive to provide better affiliate link management and reporting solution to the publishers. What’s the motive of Cuelinks? Affiliate marketing is not a one time job solution. Publishers have to take efforts of communicating with the merchants and the affiliate networks for campaigns, product links, payments, reports and any support regarding the program. Sometimes it may be difficult to understand the linking scheme of those affiliate programs there by causing confusion which may lead you to leave it off at all. Cuelinks claims to be eliminating all such problems and avail all those needs a publisher looks for in one platform. The registration process is available for both publishers and merchants. Those who want to market their products can signup as merchant and those who want to earn from affiliations can signup as publisher. The registration process would take up to 24 hours to activate your account. After activation, you have to go with one time installation of the code in your website. Once you install the code in your website, you no need to link every product you wanted to refer from the merchants website with your affiliate ID. You may just post the link of the product on your website and Cuelinks code would take care of adding affiliate ID to it. Once the product is bought through your affiliate ID, the commissions are being updated in your dashboard. Cuelinks feed on publishers as well as on merchants. It gives 65% of revenue that comes from affiliating the merchants products to publishers. Top performing publishers would even get more than 75% of revenue. As a matter of fact the earnings share, Cuelinks is giving on top eCommerce websites like Flipkart, Amazon are low compared to their original rates. One can earn 100% of commissions by directly referring from the respective website’s affiliate links. If so, why come to Cuelinks? Can it be used along with Google AdSense? This is the question that strikes in every AdSense publisher mind when told about Cuelinks. Google AdSense is the best publisher program than anything. No other program in the world give such high CPCs like Google does. Who doesn’t agree the fact? The reason why I am dragging AdSense into the scene is that the one-time-installation Cuelinks code’s behaviour. When the code installed in website, every outbounding link from the site is referred by Cuelinks referral system, linksdirect.com. In case of AdSense, when someone clicks on the Ad, it should take them directly to the URL shown in that Ad unit. Then Google tracks our publisher ID and pay us according to the CPC of that Ad. 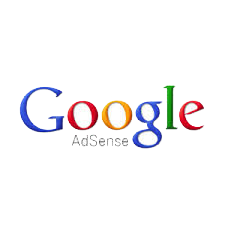 This is how Google AdSense works. If clicking on AdSense Ad takes the visitor to somewhere before it goes the actual URL, Google considers it as spoofing and terminates the AdSense account. After all, redirecting visitors or modifying Ad unit code that takes them to false destinations is against the AdSense policies. Hope you know the cost of violating Google policies as better as I do. This method of affiliate marketing doesn’t redirect every other outbounding link to the Cuelinks referral link. So it does not violate Google AdSense policies. This method of affiliation is the an official recommendation of Cuelinks team to amfastech team when raised the issue. There is another way you can use Cuelinks along with the AdSense apart from the direct API installation. You can create widgets and place them on your website/blog without worrying about the AdSense again as it also doesn’t violates its policies. Managing affiliate links in one platform is very helpful as it saves the time of sail across different affiliate program platforms at once. The actual commissions from affiliate programs like Amazon and Flipart differ a lot from Cuelinks commissions. It is better to go with the actual affiliate programs directly than to go with Cuelinks. If suppose Flipkart is giving 10% commission on a product and it is referred through Cuelinks, you have to loose 3.5% of your commission and you will get 6.5% on it at last. This loss is considerable. The one-time code installation still seems a threat to Google AdSense. One can’t afford to loose his AdSense account for Cuelinks. Please note that the below mentioned campaigns need to be paused with immediate effect. Kindly stop promoting the above campaigns until further update. Cuelinks is a trustworthy affiliate link managing business. It is struggling hard to stand still in this competitive environment to win publishers as well as merchant’s trust. Amfas Tech wishes good luck to all Cuelinks publishers and merchants and we hope this review helped you to some extent at least.